Genting Highlands has none of the colonial old world atmosphere of the other hill stations. Its main purpose is to entertain Kuala Lumpur's more affluent citizens. To this end the resort offers a casino, cable car, four-hectare (10-acre) artificial lake, 18-storey hotel, theme parks, horse ranch and a golf course. The hill resort is less than one hour's drive from Kuala Lumpur and offers a welcome respite from the city's humidity, standing at 6,562ft (2,000m) above sea level. Most Malaysians flock here to enjoy the vibrant nightlife of dinner shows, discos and gambling. Arrive Genting Highlands. Check into the hotel. Balance of the day free to enjoy with your full day outdoor theme park tickets. In the evening back to the hotel. Overnight at the hotel. Morning after breakfast, check out from the hotel. Pick up from the hotel and transfer to Kuala Lumpur on seat in coach basis. Kuala Lumpur Kuala Lumpur is an Asian tiger that roars: in almost 150 years, it has grown from nothing to a modern, bustling city. 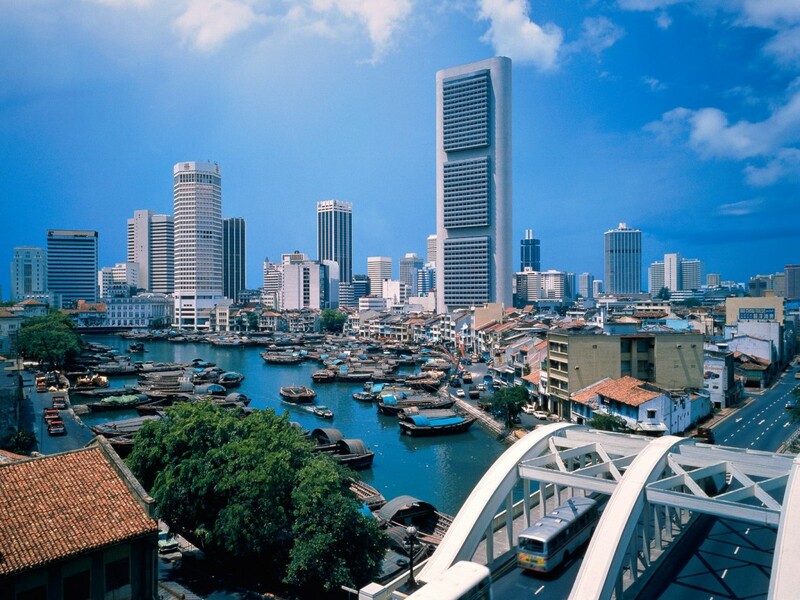 It's a modern Asian city of gleaming skyscrapers, but it retains much of the local colour that has been wiped out in other Asian boom-cities such as Singapore. It has plenty of colonial buildings in its centre, a vibrant Chinatown with street vendors and night markets, and a bustling Little India. Arrive Kuala Lumpur. Check into the hotel. Balance of the day at leisure. Overnight at the hotel. Morning after breakfast at the hotel, proceed for half day Kuala Lumpur city tour on seat ion coach basis. The city of Kuala Lumpur was built on the confluence of two rivers, the Klang and the Gombak rivers. The tour will highlight the old and the modern that makes this city vibrant. Places of interest includes visiting a handicraft centre, Jamek Mosque, drive pass Chinatown and Parliament House, photo stop at the King's Palace, Railway station, Sultan Abdul Samad building, National Monument and country's history and culture. In the afternoon, back to the hotel. Rest of the day free on your own. You can move out of the hotel to explore this city on your own. In the evening back to the hotel. Overnight at the hotel. Morning after breakfast, check out from the hotel. You can keep your luggage in the hotel and move out of the hotel to enjoy last minute shopping in Kuala Lumpur. In the evening back to the hotel. Later pick up from the hotel and transfer to Kuala Lumpur airport to board your flight to Singapore. If there is one word that best captures Singapore, it is "unique". A dynamic city rich in contrast and colour, you'll find a harmonious blend of culture, cuisine, arts and architecture here. Brimming with unbridled energy, this little dynamo in Southeast Asia embodies the finest of both East and West. Meeting and assistance upon arrival and transfer to hotel on seat in coach basis. Check into the hotel. Balance of the day free to enjoy on your own. Morning after breakfast at the hotel, proceed for half day Singapore city tour on seat in coach basis. An Orientation tour of our city begins with a drive around the Civic District past the Padang, Cricket Club and the historic Parliament House, Supreme Court and City Hall. Next a stop at the Merlion Park for great views of Marina Bay and a picture-taking opportunity with The Merlion, Singapore's well-known tourism icon, a mythological creature that is part lion and part fish. The tour continues with a visit to the Thian Hock Keng Temple, one of the oldest Buddhist-Taoist temples on the island, before driving past Chinatown to a local handicraft centre. From there we proceed to the National Orchid Garden, located within the Singapore Botanic Gardens, which boasts a sprawling display of 60,000 orchid plants comprising of 400 species and more than 2,000 hybrids. Our final stop at Little India will entrance you with the scent of joss sticks, jasmine and spices. In the afternoon back to the hotel. For the night, enjoy the Night Safari. The world's first night safari park, a natural jungle covering 40 hectares that houses 1,200 nocturnal animals. 110 exotic species can be seen in their habitat for e.g. tigers, hyenas, golden jackals, cape buffalos, blue sheep and the rare horned rhinoceros. The easiest way to familiarise yourself with the large grounds is to take a train ride. At the end of the tram ride, your tour guide will take you on a walking trail to see some of the animals at close quarters. After which, you will witness the animal show. (subject to time availability). Overnight at the hotel. Morning after breakfast at the hotel, Morning free,after lunch proceed to Afternoon Sentosa Island tour with Underwater world. This tour will allow you to see the southern islands at Mount Faber and to take the Cable Car ride to Sentosa. Entry to The Images of Singapore is a must when you are in Sentosa. The museum will take you back in time to experience the transformation of Singapore from a small fishing village into a vibrant multicultural society. The next attraction will be the Dolphin Lagoon where you will be given a chance to meet the rare pink dolphin. Next stop will be the Underwater World. Be engulfed by the marine life as you travel underwater through a 83m long travelator as a host of sea creatures swim directly above you. Next is to the Song of the Sea, a new musical extravaganza complimented with a dazzling display of laser and lights. To end the day, jump on the Sentosa Skyride that allows you to make the ride as leisurely or as exciting as you want before returning home. In the evening back to the hotel. Overnight at the hotel. Morning after breakfast, check out from the hotel. Pick up from the hotel and transfer to Singapore airport to board your flight back home with sweet memories of your tour. 01 Nights accommodation in Genting. One Half Day Kulala Lumpur City Tour On Seat In Coach Basis. Genting Outdoor Theme Park Ride Ticket. One Half day City Tour On Seat In Coach Basis. Sentosa Twilight & Night safari In Singapore. Visa fees & charges are extra. Passport should be 6months valid from the date of return.